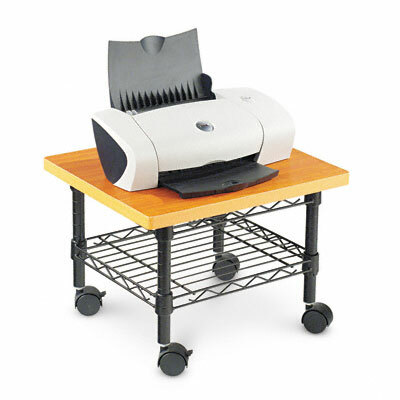 Dual-bin printer stand stores paper for both paper paths and provides an output bin to ensure smooth paper flow. Durable construction stabilizes printer for high-speed printing. Dual-bin printer stand stores paper for both paper paths and provides an output bin to ensure smooth paper flow. Durable construction stabilizes printer for high-speed printing. Wheels enable mobility with ease.